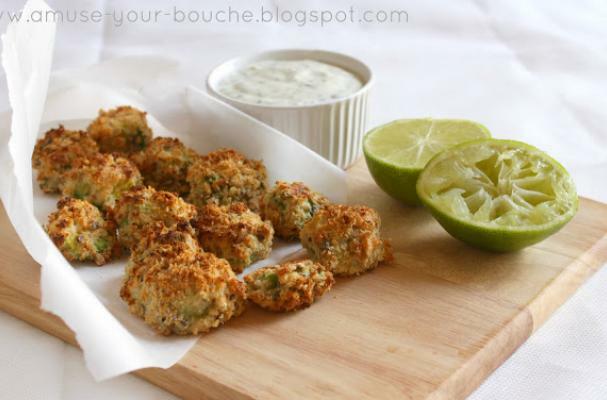 Avocado poppers from Amuse Your Bouche are an addicting snack. Avocado slices are coated in breadcrumbs and baked until golden brown. The outside is creamy while the coating is crisp and crunchy. This healthy appetizer is served with a creamy cilantro lime dipping sauce. For full recipe instructions, click here.